Do you LOVE esports? Do you want to see it at every school? Become a Student Esports Ambassador! 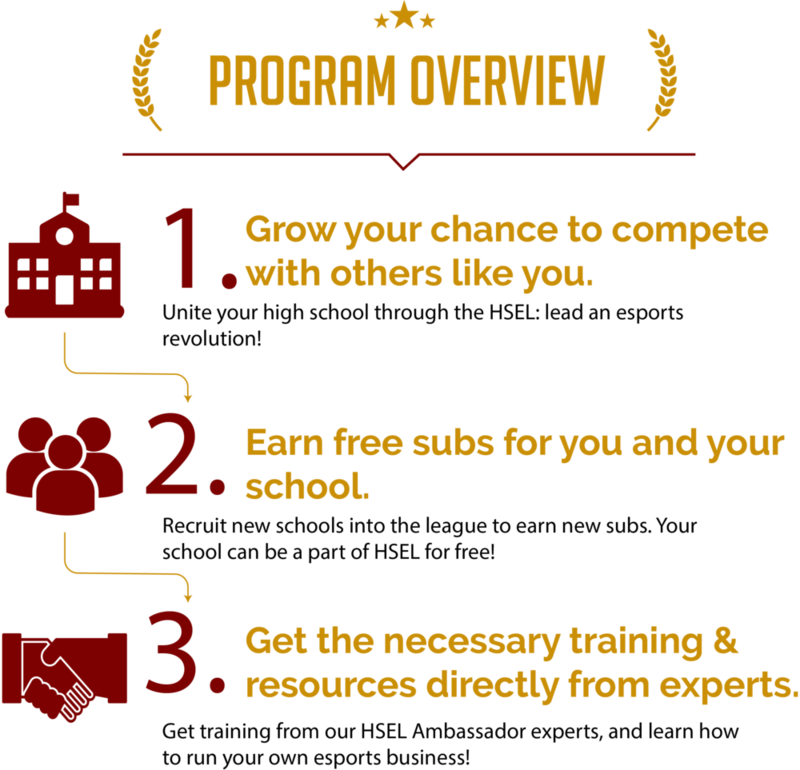 The HSEL will supply you with resources to bring esports to your district! Get access to a super secret Discord and get a direct line to HSEL Staff! Fill out the form below and sign up to become an Esports Ambassador for the HSEL. You must be a member of a HSEL Partnered High School.